NAC Foundation, LLC – the creator of the newly launched digital currency, AML BitCoin, – announced today that it has been in extensive discussions with the governmental and private sector authorities in Panama to integrate the AML Bitcoin and its patent-pending anti-money laundering and know-your-customer technologies into the financial and payment infrastructure of key Panamanian industries and governmental departments. After a series of productive meetings last month conducted by Marcus Andrade, the CEO of NAC Foundation, with key Panamanian stakeholders and government officials, NAC Vice President of Latin American Affairs, Carlos De La Guardia has followed up with discussions designed to give the new currency something that no other digital currency in the world has: official usage by powerful industries and governments. De La Guardia, former Panamanian Ambassador to the United States, has been in discussion with Roberto Roy, president of the Board of Directors and Minister of the Panama Canal, about implementing an e-payment process for the AML BitCoin with the Canal, for payment of transit fees. Currently transit fees are mainly paid in advance with cash. The use of the AML BitCoin would prevent any possible illegal activity, as well as create a safe, rapid and cost-effective money transfer system for the Canal Authority. In addition to Minister Roy, De La Guardia has been engaged in communication with other senior Canal officials, including VP Corporate Communications, Oscar Vallarino, and Canal Administrator, Jorge L. Quijano. The discussions with the key Panama Canal officials is a natural follow up to the very productive discussions Andrade had with the Panama Maritime Authority director of legal affairs Armando Bultron about working the digital identity innovations that undergird the AML BitCoin architecture into the payment systems available to thousands of crew working on ships under the Panama Maritime Authority registration. The Panama Maritime Authority, among other things, commands the world’s largest ship registry. 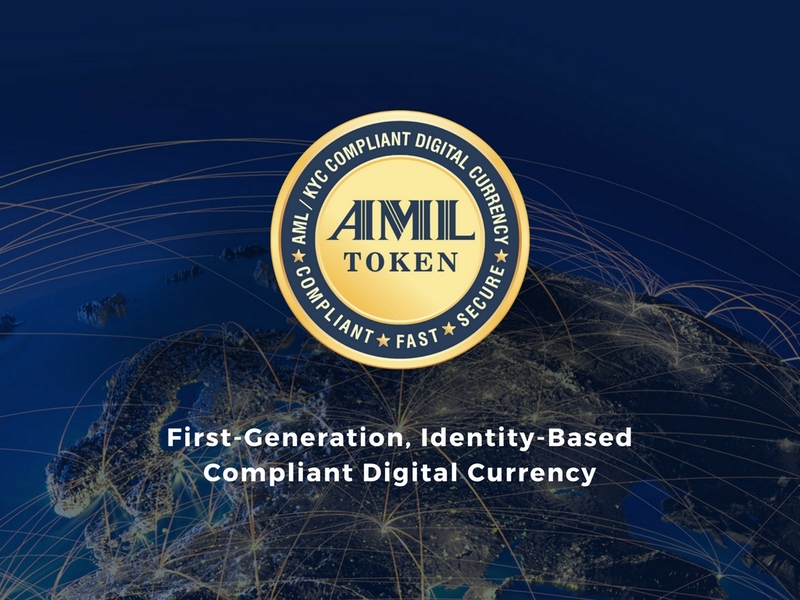 AML BitCoin is the world’s only digital currency with a patent-pending biometric digital identity system tied to the blockchain, enabling strict adherence to all bank security provisions including AML (anti-money laundering) and KYC (know your customer) protections. The prospect of AML BitCoin securing a position in the payment systems of these key Panamanian government structures is likely to bolster the case made by the coins supporters that it alone will eventually rival the anonymous Bitcoin for dominance in the cryptocurrency world.